Every SLX herb grinder is machined from 7075 aluminum, the alloy of choice for precision applications - from high performance jet aircraft to Space-X rockets. With exceptional strength, perfect balance, and unparalleled durability, your SLX grinder will last a lifetime and then some. Machined to the highest tolerances. Each piece of your SLX non-stick herb grinder is machined to the thousandth of an inch - providing the perfection you deserve and we demand. The result? No more fumbling to connect stages. No imperfections that catch and slow you down. Just smooth threads and easy turning. More teeth than the Loch Ness Monster. With 55 razor-sharp teeth in the standard size, and 27 in the pocket size, even a velociraptor would be hard pressed to keep pace with SLX shredding power. A couple of turns is all it takes – even tough, stemmy herbs don't stand a chance against the smoothest operator in town. Our ceramic coating comes in 7 fantastic colors - charcoal grey, silver metallic, champaign gold and black metallic (the classic 4), yellow, leaf green, and purple haze - all lightly metallic. Slab cuts and serrations for comfort and traction. 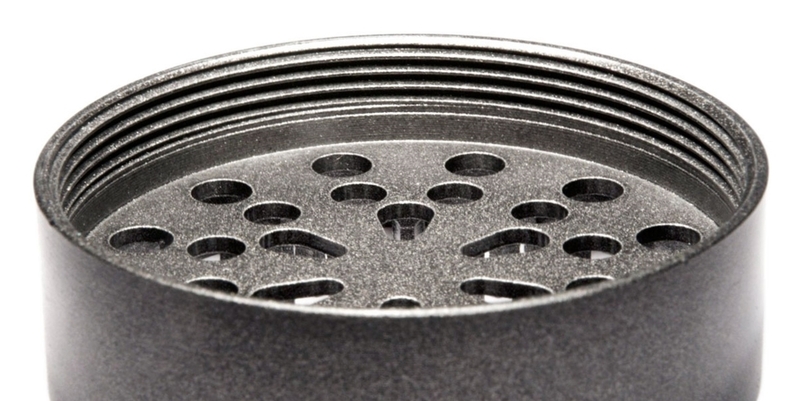 Every SLX non-stick herb grinder features comfortable slab cuts and gentle serrations on the top and bottom. Got sweaty hands? Not a problem. Our grips provide optimal leverage even if you find yourself grinding on a row boat in a hurricane (note - we don't recommend using your SLX in this situation. Find shelter, preferably on high ground, use your SLX to prepare some celebration).